The iPhone X (ten) released on 12th September 2017. As a matter of fact, this date has sentimental value for Apple. After all, this is the 10th anniversary of the launch of the iPhone at the Steve Jobs Theater in Cupertino, California. As a result, Apple has put in a lot of effort to create a unique experience. Apple has gone to great lengths to make an attractive offering for the eyes and a futuristic phone that captivates our imagination. For the first time, Apple has incorporated an OLED display panel (made by Samsung) in its device. Also, The iPhoneX will support wireless charging on the Qi standard. iPhone X contains a stainless steel chassis and the glass and is waterproof with IP67 certification. The display is almost bezel-less and similar to the ones seen earlier on the Samsung Galaxy series. However, there is enough space left in the front for the speaker grill, front camera and an array of various sensors. Correspondingly, this gives the device, class-leading screen to body ratio. Equally, the Super Retina display measures 5.8”. The edges of the display follow the curved body with its rounded corners, blending effortlessly into the phone shape. Thus the iPhone X gets its tagline “It’s all screen”. 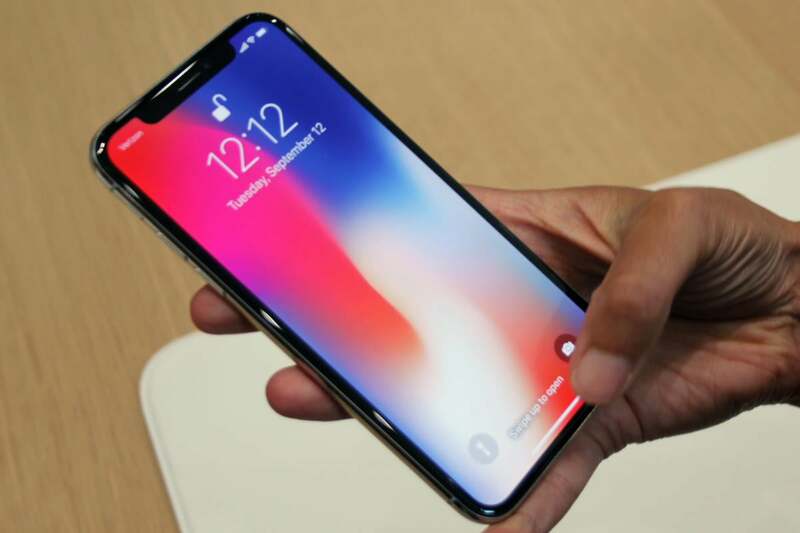 The front of the phone houses the technology for another crucial feature of the phone, the Face ID. A platform called the TrueDepth array enables the new Face ID technology to unlock the iPhone X with just a glance (a feature they messed up a bit during the launch presentation). The Face ID technology uses an array of sensors for facial mapping and machine learning. Moreover, this allows you to use your face as a password for the device. Also, you can transact on Apple Pay securely using this tech. Face ID is slated to work even in the dark and with all variations in facial patterns. But there are concerns about sharing the phone with friends and family because of this feature, which has to be put to rest by Apple. Another exciting new addition to the iPhone X is the ability to create animojis. Animojis are made by detecting the facial expressions of the user to create animated emojis with the same expressions. These can be then sent to other iPhone users. Additionally, Augmented reality applications will get a huge boost with this new technology! The rear camera is a dual 12 MP setup with a quad LED flash and supports 4k video recording. It will have a Portrait Lighting mode for selfies and Optical Image Stabilization technology. Liked our iPhone X review? Click on the share button below.